ID lanyard made with shimmery copper colored goldstone beads with autumn jasper gemstones and olive green Swarovski crystals. 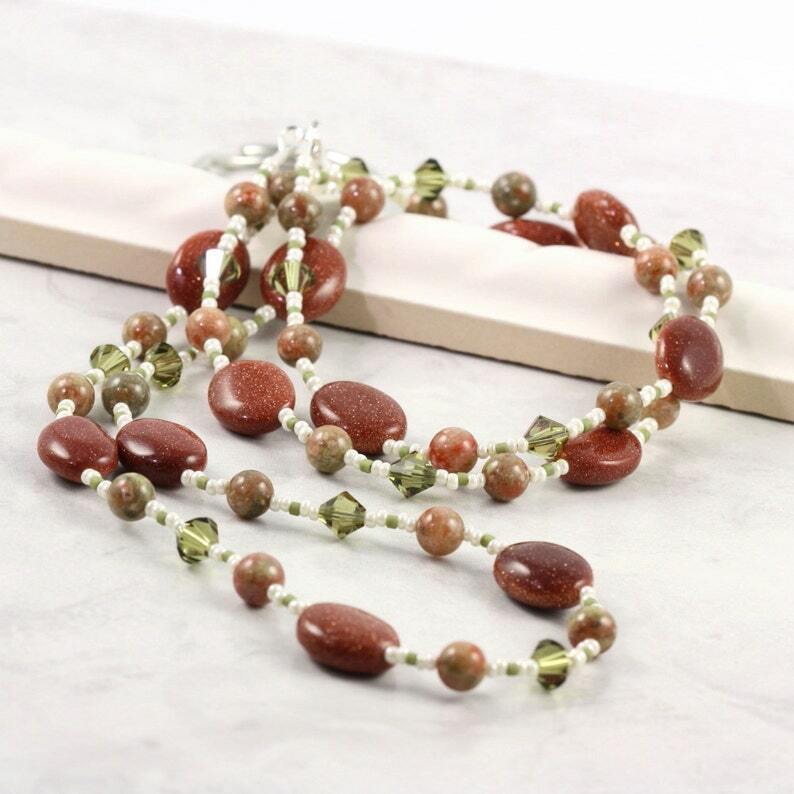 So many beautiful and soft shades of nature give this eyeglass holder an rustic look that will go with any outfit. Goldstone is man made. It is manufactured from glass. It sparkles because there are little bits of copper in it. Badge attaches to swivel clasp. Also comes with split ring adapter. Length is 30 inches. Contact me if you'd like a different length.